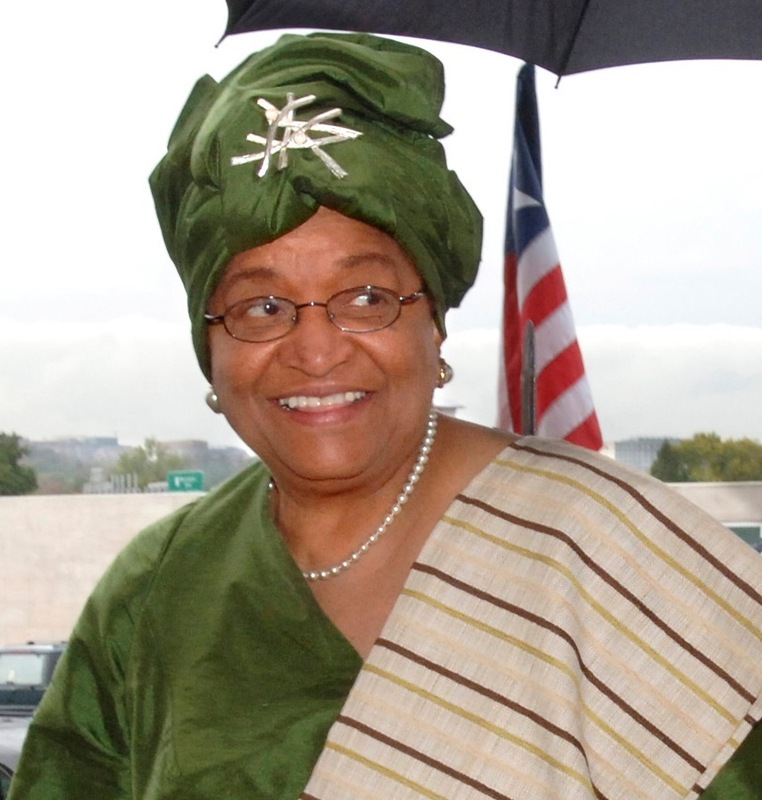 Ellen Johnson Sirleaf became the president of Liberia in January, 2006. The first woman ever elected head of an African state, she was awarded the Nobel Peace Prize in 2011. Read this biography to learn more about her life and achievements. The first woman ever elected head of an African state, Ellen Johnson Sirleaf was sworn in as the president of Liberia on January 16, 2006. Born and educated in Monrovia, she continued her studies in the United States in the 1960s. She studied at the University of Colorado at Boulder and obtained a masters degree from Harvard University, then returned to Liberia and served in the early 1970s as a finance minister for President William Tolbert. After Tolbert was deposed and executed, Sirleaf had an uneasy relationship with his successor, President Samuel K. Doe; to avoid detention, Sirleaf left Liberia and spent most of the '80s in Kenya and the United States as an executive in the international banking community. Sirleaf supported the 1989-90 coup by Charles Taylor, but soon became a vocal opponent of Taylor's autocratic rule. She ran unsuccessfully against Taylor for the presidency in 1997 and again fled the country rather than face Taylor's charges of treason. Called the "iron lady" of Liberian politics, "Ma" Sirleaf returned to Liberia after Taylor fled to Nigeria in 2003. As the standard bearer for the Unity Party, she ran again for the presidency in 2005, promising economic development and an end to corruption and civil war. Detractors criticized her earlier associations with Doe and Taylor, but she beat out George Weah in a run-off election in November of 2005. She was sworn in as president on January 16, 2006. In 2011, Ellen Johnson Sirleaf was awarded the Nobel Peace Prize along with two other African women, Tawakkol Karman and Leymah Gbowee, "for their nonviolent struggle for the safety of women and for women's rights to full participation in peace-building work." She was elected to a second term in 2011 and sworn in on January 15, 2012. Extra credit: U.S. Secretary of State Condoleezza Rice and First Lady Laura Bush attended Ellen Johnson Sirleaf's inauguration in 2006... Some sources hyphenate her name, spelling it Johnson-Sirleaf; however, her bio from the Liberian embassy in Washington, D.C. spells her name with no hyphen and calls her "Mrs. Sirleaf." Copyright © 1998-2014 by Who2?, LLC. All rights reserved. The Nobel Peace Prize is awarded to persons who have made the most outstanding contributions toward world peace. Have children research the Nobel Peace Prize to learn more about its purpose and recent recipients, including Ellen Johnson Sirleaf. View our slideshow of Women Nobel Peace Prize Winners to learn about outstanding women who dedicated their lives to bettering humanity.